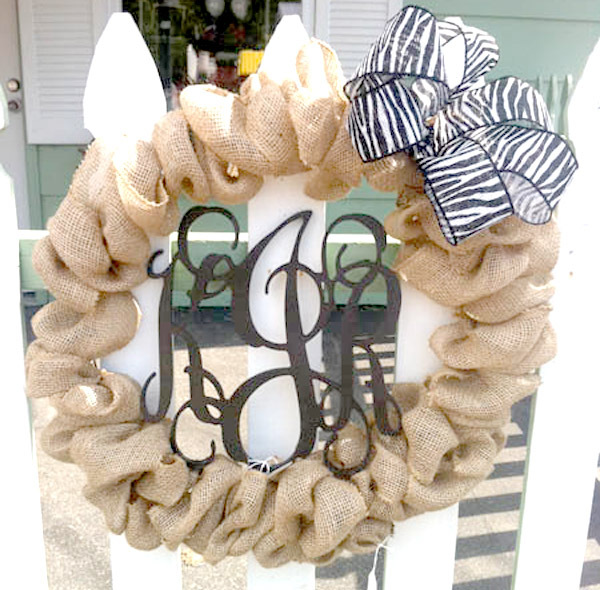 These wooden monograms are perfect on a front door, over a fireplace, amongst pictures or over a bed! ! They are cut from 1/2" wood. All of them come in natural wood. 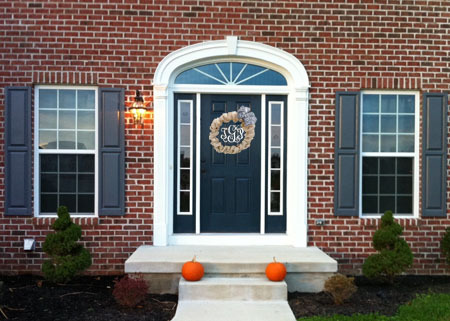 You can have them painted for an additional fee. Add a bow and have a wonderful personalized gift. 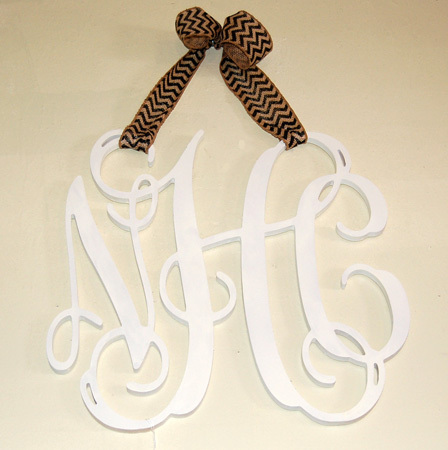 If you do a couple's monogram it should appear as Bride's First initial, Last Name initial, Groom's First Initial. Allow 3 weeks for creation of this product. Shipping time is in addition to that.